I made the necklace and bracelet first, then needed something fun to go with them. 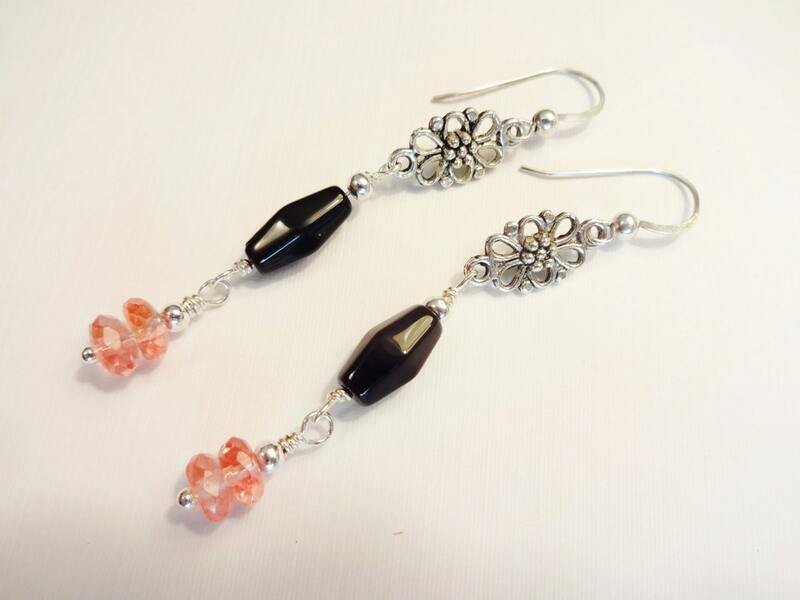 These earrings feature black onyx faceted oval beads with faceted Cherry Quartz rondelles dangling from them. 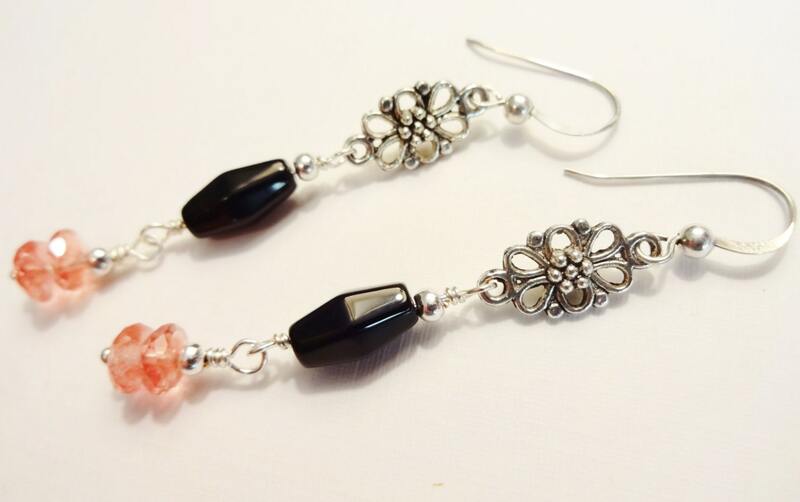 The silver filigree links give these earrings a unique twist. 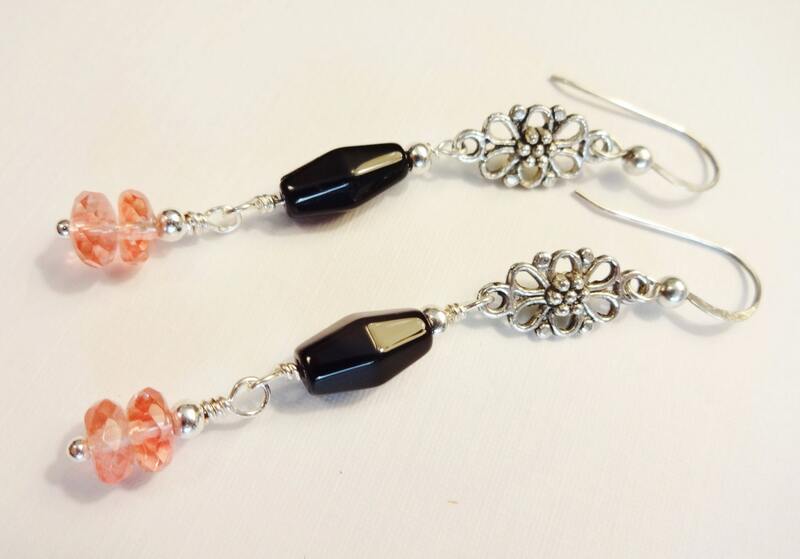 Length: a little over 2-1/2 inches from the top of the ear wires.